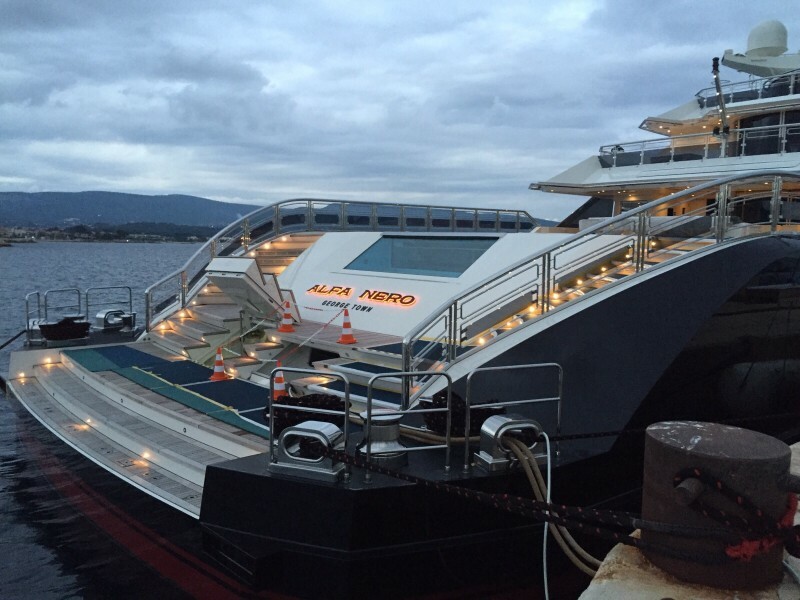 Alfa Nero, the 81m, Oceanco built superyacht was looking for a solution to quickly and effectively give the exhaust areas of the hull a protective finish. 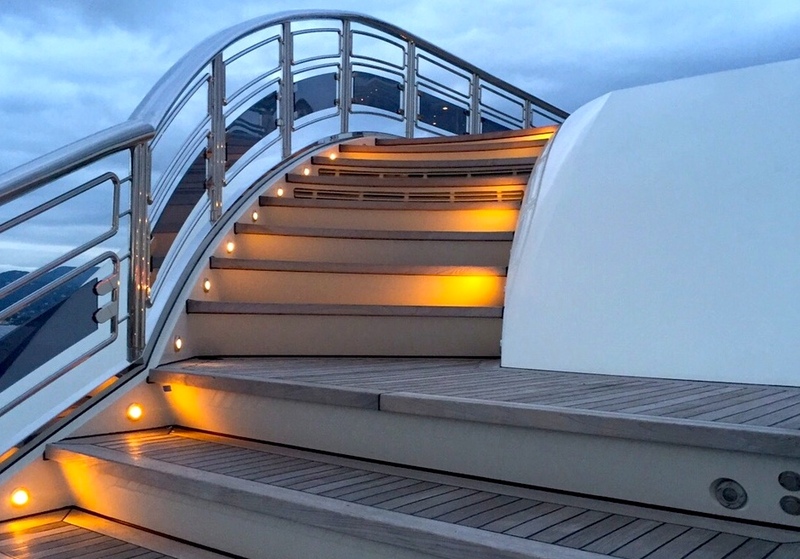 The yacht also needed finishing touches on her transom steps. The WG team covered the areas around the exhaust with a clear film layer to protect the paintwork. This could be easily replaced seasonally to keep the paint looking fresh and new. A colour matched film was used to match the original paintwork. 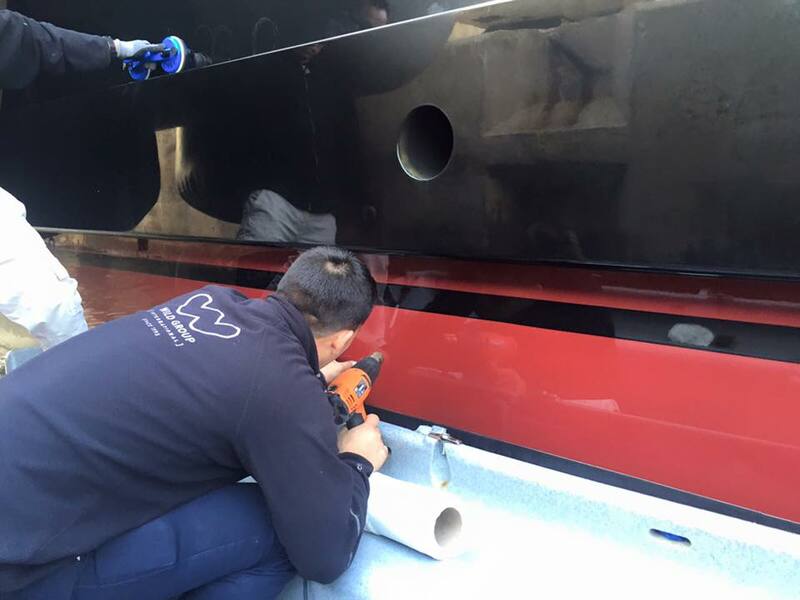 1) Application of Clear vinyl surface films protect from general wear and tear and scratches, eliminating paint damage and preserving the residual value of the yacht. 2) The vinyl surface film is easy removed and doesn’t leave any residue or damage to the surface beneath when removed or replaced. It is extremely tough wearing made from urethane vinyl film and has a non-slip surface that comes in particularly handing when at sea. 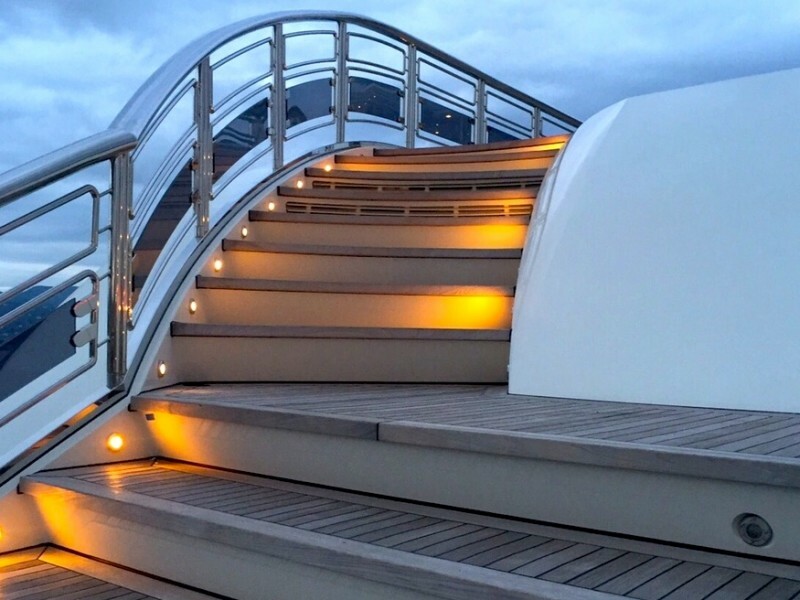 High wear deck areas, cap rails, areas where fenders rub, areas where shoes or jeans might scratch the gel coat, steps, bathing platform, dinghie scuff areas, table tops and surfaces. All types of interior surfaces that are vulnerable to scuffs and scratches, high gloss varnish surfaces, wooden furniture and panelling, glass table tops, stairwells, dashboards, bedside tables, wardrobes, window sills.